Recently at a meeting of the Askamore Refurbishment Committee, it was decided to run a fundraiser to pay off the final debt on the newly refurbished Activity Centre. This final fundraiser will be a draw for a ride-on lawnmower, worth over €4000. The focus for the ticket-selling for the ride-on lawnmower is being held outside the parish, as it was felt that it would not be fair to come back to the same people again, and tickets will be on sale at the Ploughing Championships in Heathpark, New Ross in September, and at various agricultural shows around Co. Wexford and further afield throughout the summer, although if local people wish to buy tickets for the draw, they will not be turned away! 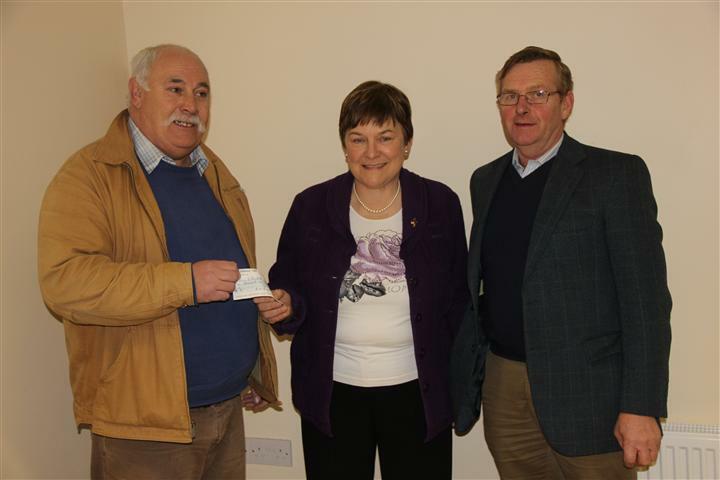 When the refurbishment was first mooted, people in the Askamore area were asked to give €240 towards the cost of rebuilding the old squash court. This was a very successful venture, and over 170 people committed to paying this amount. When the final payment is made in November 2012, everyone who has paid the full amount is eligible for the €1000 prize – so it’s still not too late to donate to a very good local cause. Tickets will be €5 each, or 3 tickets for €10. The outstanding debt on the refurbishment is approximately €20,000.